Today I am 33 weeks and 5 days pregnant. Baby is: the size of a honeydew melon (around 4.5 lbs.) Foot still firmly stuck in my ribs but I suppose I should just be pleased that he’s head down and looking likely to stay that way! I am: beyond tired but feeling quite a sense of achievement. I took Owl to London last night to see War Horse and he loved it. Today we have had our Tiny Tots church service, followed by a lunch that I organised with two friends. Then a walk in Nonsuch Park with Home Education Group, and the day finished with taking Rabbit to Rainbows. I am thoroughly exhausted but at least I hope the children will sleep well tonight. My back is worse again, which is perhaps not surprising. I’ve realised that every time it gets a little bit better I do too much, particularly laundry because it’s so frustrating watching it build up when I can’t do it, and so my back gets worse again very quickly. It’s hard to know what to do about it. Well, the answer is probably to train the children to do their own washing and ironing I suppose! 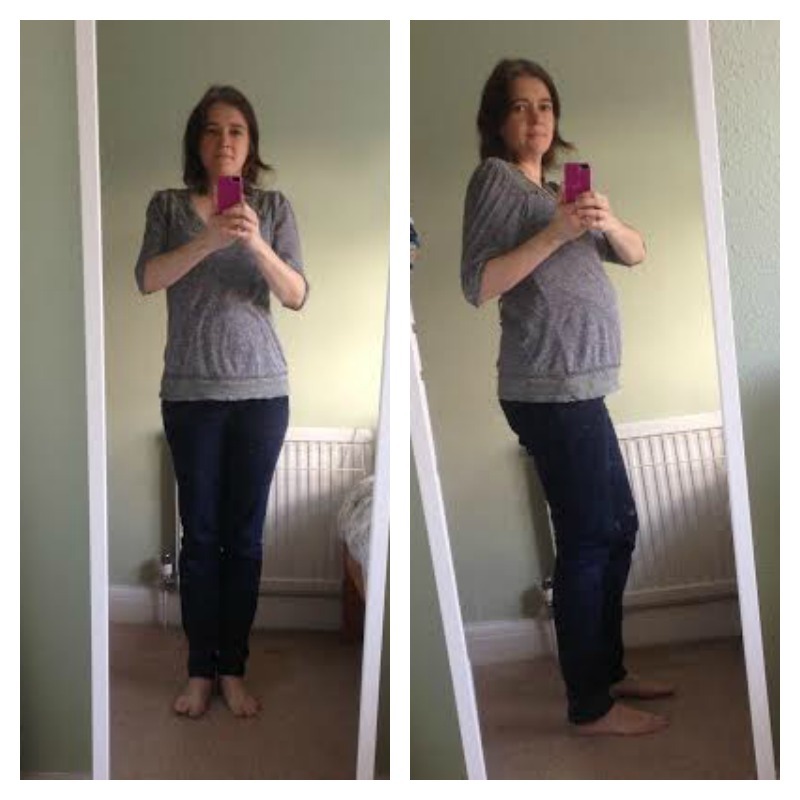 This entry was posted in Pregnancy and tagged pregnancy diary on November 19, 2014 by Hannah. Glad to hear you’re keeping well.